Doug Smith is passionate about performance, recovery and the process required for successful change. His best selling story is captivating and his literary work is making a positive difference in the world. At 18 years old, Doug was drafted 2nd overall into the NHL to play for the Los Angeles Kings as their youngest player ever. The next 11 years were defined by hockey successes, hockey failures, his lack of awareness and the culture of a collision sport. His career ended suddenly at 29 years old when he shattered his spine in professional game #607. 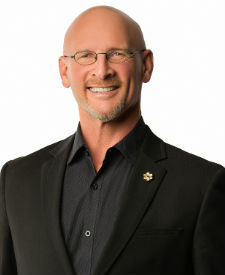 Despite paralysis from the chest down, Doug learned how to walk again, skate again and successfully transitioned into the corporate world holding the position of Director of Business Development for a National Internet Service Provider and then managing Canadian sales for a multinational software company. He accomplished this by developing and using a system to raise his level of awareness. For over 2 decades, Doug has worked to identify, organize and document the 3 priorities and 8 behaviours he has used to thrive through transition and continuously drive high performance. His simple but awakening process has been used to help thousands of people find a happier, healthier, more prosperous life. In his presentation and in his latest book, The Trauma Code Unlocking your Performance, Doug unveils his simple yet repeatable model for continuous improvement. It is a model that he has used himself and a model he strives to share with others. Today this core work goes beyond the individual to help teams, organizations and society as a whole. Apply by February 29th to be part of our 250-member audience and hear more from Doug about breaking barriers in his life and how you can too!